Nintendo is publishing the follow-up to Bayonetta. 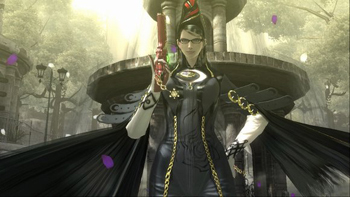 Hot on the heels of its Wii U launch announcement, Nintendo revealed that it would be publishing Bayonetta 2. The follow-up to Sega's 2010 action game Bayonetta will be exclusive to the Wii U console. The publisher didn't reveal any more information about Bayonetta 2, so it's not known when the sequel will actually be available. Stay tuned for more Wii U launch info and game announcements, as we continue to cover Nintendo's press conference.